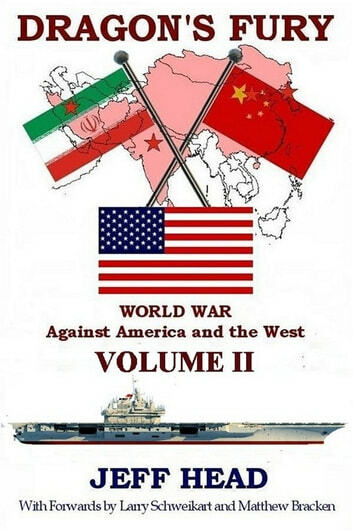 The Greater Islamic Republic, led by Iran, and the Coalition of Asian States, led by Red China have allied and conspired together to defeat America and her allies on the world stage. The two leaders, Hassan Sayeed and Jien Zemin have planned and conducted surprise attacks against America and pushed American forces back with staggering losses. High technology supercavitating weapons are proving a scourge to the US Navy as American military research and development rush to find answers to weapons that have sunk several US supercarriers and their escorts. ...and the fighting is not restricted to foreign shores. Many sleeper cells and combatants are slipping across America&apos;s open borders and conducting war within the borders of the United States against American towns, cities, infrastructure, military sites and US citizens. Can America survive? Can the American people, led by President Weisskopf summon the will, the resources, and the victories to turn the tide? Or will America herself suffer a massive invasion of enmey armies? Find out in Volume II of Dagon&apos;s Fury - World War against America and the West by Jeff Head. Good read but could be better, the author tries to push his pro gun lobby and conservative religious views too heavily. For the most part a very realistic a chilling story of what could happen one day. 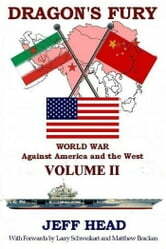 The author continues an interesting scenario about an unlikely alliance between China, India and Muslim extremists in a global conflict with the West led by the USA. How both sides manage to maintain combat resources after such enormous losses on both sides is a little unbelievable. On the publishing technical side there are numerous problems with the publication e.g. two spellings for Australia's largest city Sydney.